Map images are provided under license by The National Archives, England and cannot be reproduced or copied without their permission. To purchase high-resolution tiff files of these maps for publication, contact: image-library@nationalarchives.gov.uk Tel: +44 (0)20 8392 5225. A scale of reproduction fees applies for commercial publication, exhibition display or TV broadcast. Details on request. Request should cite the National Archives, England map number. Infringement of the above condition may result in legal action. 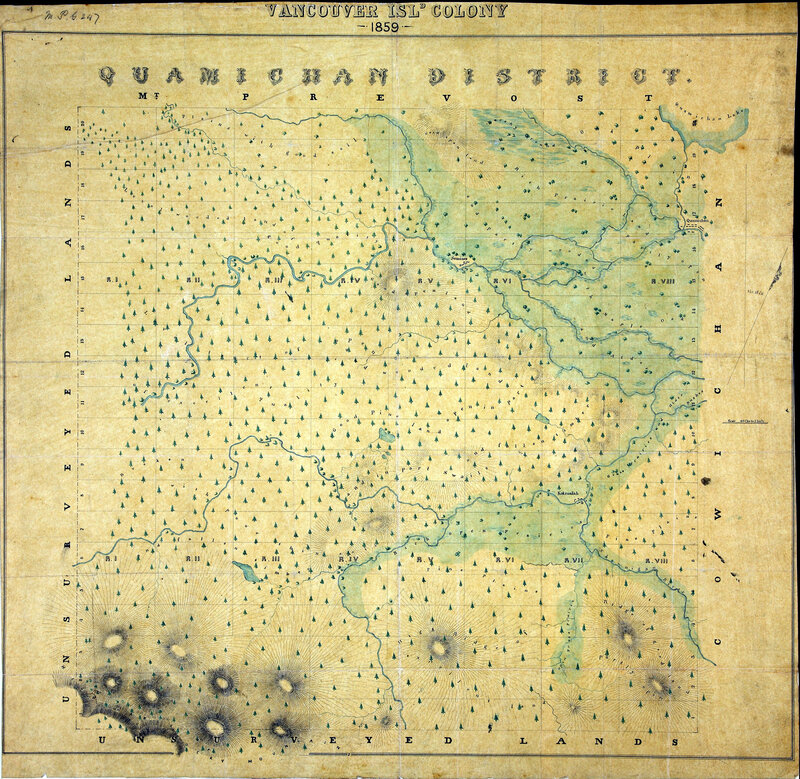 Annotations and editorial information contained in this file is provided by the University of Victoria Libraries, Humanities Computing and Media Centre, and Department of History as part of the Colonial Correspondence of BC and Vancouver Island (http://bcgenesis.uvic.ca).